“We live in a place that was made in two pieces. Kinda funny but it’s true. 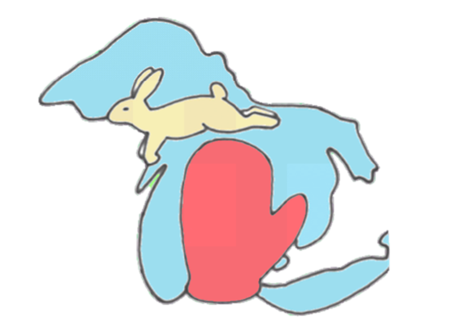 There’s a rabbit on top and a mitten on the bottom.